After doing a translation check, proof-read, and spell check I've handed this off. Hopefully this will be one more game off the list of Famicom games without English language translation patches. Submitted by Anonymous on Fri, 07/28/2017 - 15:52. Submitted by Matt on Wed, 07/26/2017 - 16:57. Thanks! Unfortunately it's universally mocked as a "kusoge". Having translated the script, I think having the game in English will help folks appreciate it more, but it still seems like a fairly rudimentary game. I'm happy to have translated the script regardless. Lol, I'd never looked at City Adventure Touch before. What an incredibly odd thing to do with a Touch license! By Compile nonetheless! It almost seems like they had a game in the works and just slapped the license on. The music seems decent though. I might take a quick look at this since there doesn't seem to be much text. 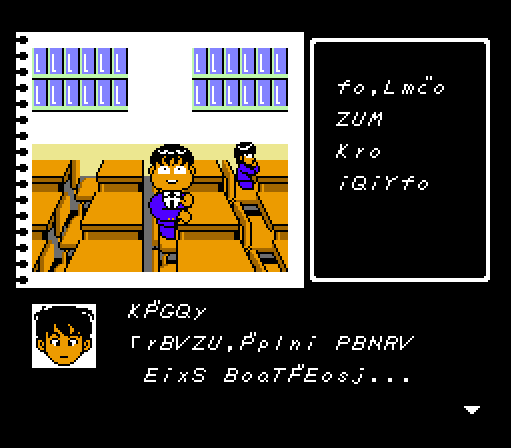 I'd certainly take a stab at translating it if Psyklax or someone dumped the script. Submitted by Anonymous on Tue, 07/25/2017 - 05:56. Nice job! I hope it's released soon-ish, I'm curious what this game is all about. Zoids Chuuou Tairiku no Tatakai English Translated Script Released! 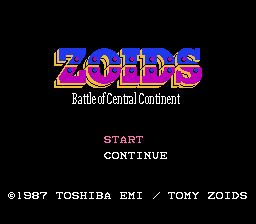 Today I release the English translated script for Zoids - Battle of Central Continent (Zoids 中央大陸の戦い a.k.a Zoids Chuuou Tairiku no Tatakai). This is a Famicom game based on the Tomy/Takara line of Zoids toys. The game is an RPG/action game hybrid. The script was fairly easy to find and dump, and it was short so I decided to bang it out. It has been proofread and spellchecked but it has not been checked against the original Japanese in context (while playing the game). I was not able to find the menu text, so that is currently undumped/untranslated. I also added an English title screen and font. Once again, this project will be "orphaned" until someone steps up to insert the translated script. For now, if you're interested in checking out the script, want to work on finishing the project, for another language translation, or for any other reason, please download the Zoids - Battle of Central Continent Script Package, licensed under the Creative Commons Attribution-NonCommercial 4.0 International License. You can also check the translation project thread on RHDN for more info. Submitted by Anonymous on Sun, 06/25/2017 - 20:32. Thanks! Me too. I may translate the script for the second game too, though I am a little disappointed that the robots may be piloted, rather than independent sentient like they are in the first. Submitted by Anonymous on Thu, 06/22/2017 - 12:47. Looks cool - hope that somebody picks Zoids up and inserts the script. I do believe that the second game in the series is better though. I gave it a shot a while ago and really enjoyed it. 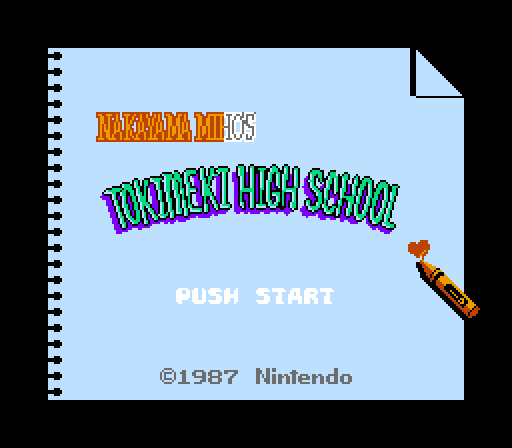 Miho Nakayama's Tokimeki High School English Script Complete! I just finished proofreading and spellchecking the script for the Nakahama Miho no Tokimeki High School English Translation Project. The game is an adventure game released for the Famicom Disk System. It represented a collaboration with then up-and-coming 17 year old "idol", Miho Nakayama, and included a phone service which - in 1987 - could be called via phone numbers discovered while playing the game that would let you listen to messages relating to the game from Miho. Additionally, the "Disk Fax" service, available from local game stores would allow you to upload your completion information for registration to win prizes including an exclusive phone card and VHS tape. The game is further distinguished by an incredible cast comprised of members of then Square Soft, and Nintendo, including Hironobu Sakaguchi (Final Fantasy), and Yoshio Sakamoto (Metroid). I began work on this game at the tail end of March, and have finished at the start of May, so this project took about 1 month. 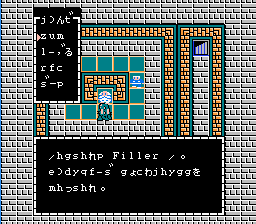 In that time I puzzled out the Japanese text encoding, inserted an English font, redid the title screen and name select screen, in addition to finding, dumping, and translating all game text. Please see the RHDN Nakayama Miho's Tokimeki High School Translation Project thread for more information on the project. It's currently moved directly to an "orphaned" project as no one has stepped up to help insert the script, but I've made all resources available in a script package, licensed under the Creative Commons Attribution-NonCommercial 4.0 International License.